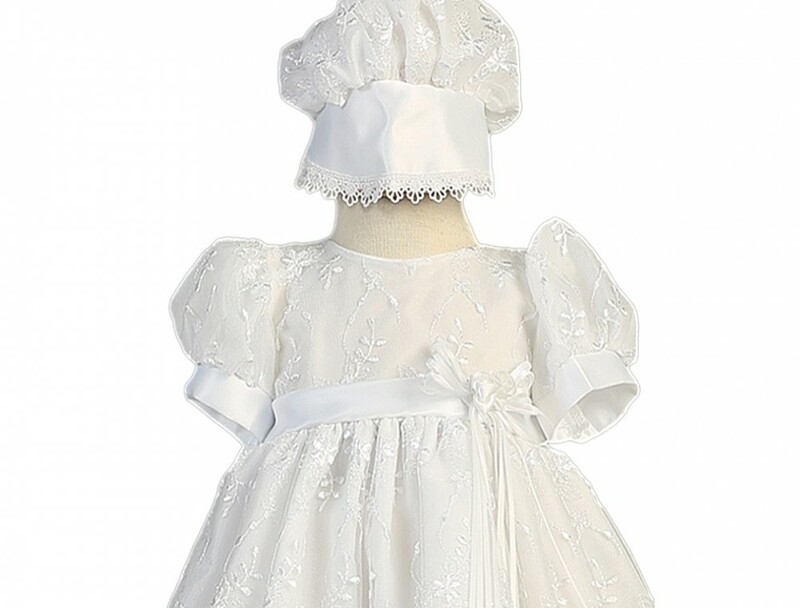 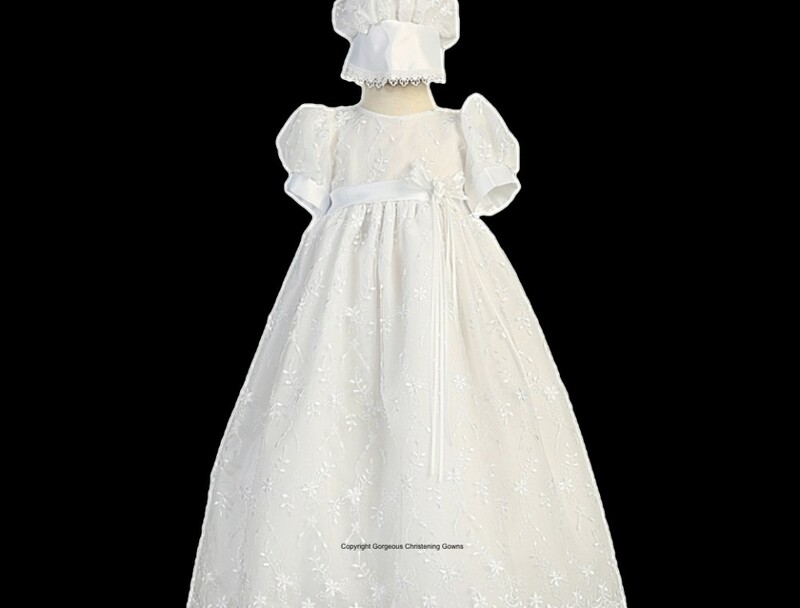 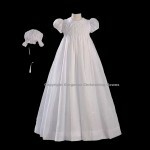 A beautiful embroidered tulle lace Christening Gown with puffed sleeves finished with a satin cuff. 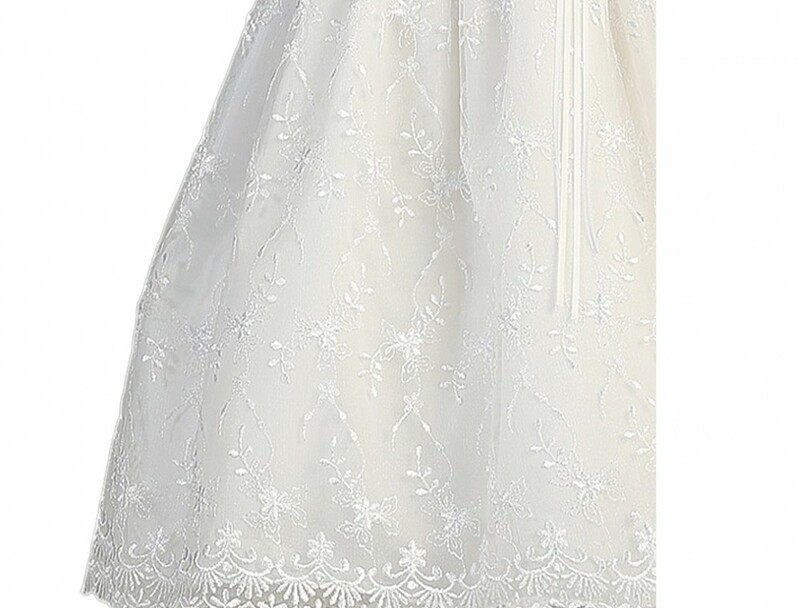 The fabric of this grown is embroidered with vine & flower embroidery and the skirt is finished with a scalloped Damask Hem. 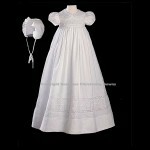 A sash and bow and a two small rosette flowers decorate the bodice on the front of the dress. 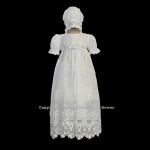 Dress opens at top of the back with 3 three buttons and has a one layer netted lining. 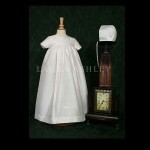 Matching Bonnet with appliqué trim also included.